The unique Guardian Pharmacy Services’ operating model features local autonomy complemented by national strategy and business support. It vests a tremendous amount of responsibility with the local pharmacy presidents, as our success depends in great measure on their ability to make good decisions locally on behalf of their customers and residents. You can find today’s Guardian partner locations on this map. However, we hope you’ll continue to check back. We’re growing! An unrelated compounding pharmacy in Dallas, Texas, doing business as Guardian Pharmacy Services, LLC, was recently in the news. We want to clarify that our company and our partner, Guardian Pharmacy Dallas-Ft. Worth is not and has never been associated with this pharmacy. Saliba’s Extended Care Pharmacy expertly provides a full line of services to assisted living and skilled nursing facilities, behavioral health homes, adult foster care homes, and adult care homes throughout the state of Arizona. We are registered pharmacists and nurses, certified pharmacy technicians, account managers, billing experts and support technicians who leverage our proven best practices to ensure the best possible care for the residents of our customers. To ensure the most efficient service for our many customers, we operate facilities in both Phoenix and Tucson. 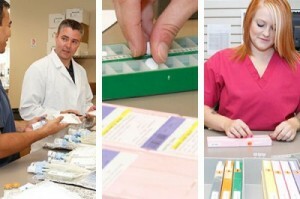 East Tennessee Pharmacy Services is located in Knoxville. In partnership with our other Tennessee long-term care pharmacies – Middle Tennessee Pharmacy Services and Guardian Mid-South Pharmacy – we seamlessly serve residents in group homes, assisted living and skilled nursing communities throughout the entire state and in southeastern Kentucky. Our local team offers the tailored solutions and flexibility necessary to meet our customer’s immediate and long-term needs. Saliba’s Extended Care Pharmacy Tucson offers the best in assisted living care medication management throughout Tucson. With multiple packaging options including Opus System, vial, unit-dose and multi-dose blister packs and a secure fully automated online medication management system, Saliba’s Extended Care Pharmacy Tucson is at the cutting edge of managed care pharmacy services. We currently serve customers throughout Sarasota, FL to Fort Myers, FL. Boomer Solutions has made a commitment to offer the most comprehensive pharmacy services with a personalized touch. Our company is designed specifically for the long-term care industry, our goal is to help make it possible to maximize your occupancy, increase resident retention and improve your residents’ dignity and overall healthcare independence. Guardian Pharmacy and Winyah Pharmacy Solutions, one of Guardian’s leading local pharmacies, have added Preferred Care Pharmaceutical Services in Hollywood, South Carolina, to their long-term care pharmacy family. The addition of Preferred Care strengthens Guardian’s coverage of behavioral health homes and allows the company to begin serving South Carolina’s mental health clinics. For more information on the partnership, check out some of the media coverage as seen in the Georgetown Times, Specialty Pharmacy Times and Executive Insight. Located in San Diego, California Ron’s Pharmacy Services has been providing quality service to southern California since 1981. Ron’s Pharmacy Services is committed to the distinguished history of superior service with innovative ideas and management for you, our valued customer. Ron Belville and the Ron’s Pharmacy Services Team is proud of the tradition of professionalism and personal service you have come to expect. Founded in 2017, Guardian Pharmacy of Orlando serves residents in assisted living, skilled nursing, and other long-term care communities. Our goal is simple: we strive to earn your business every day by providing exceptional customized service to meet the needs of our partner communities so that they can focus on the comfort, safety and quality of life of their residents. With more than 30 years of combined long-term care experience, our management team is passionate about the industry and driven to accomplish this goal. Guardian Pharmacy of Orlando currently serves customers throughout Central Florida, Orange County, Osceola County, north to Marion and Sumter counties, and west to Polk, Hardee and Highlands counties. With six additional locations across Florida, we provide statewide coverage to Florida’s long-term care communities. Guardian Pharmacy of Dallas Fort-Worth (formerly Pharmacy Concepts), located in Arlington, Texas, is a privately-owned, independent pharmacy that specializes in nursing homes, skilled nursing facilities, assisted living and alternate site facilities throughout Texas. Since 2000, Guardian Pharmacy of Dallas Fort-Worth has developed a reputation for superior customer service, continuous process improvement, timely delivery and LTC facility savings. Mallatt’s Pharmacy serves the Greater Milwaukee area. We are an employee-owned business and take pride in being one of the only independent pharmacies in the area. Mallatt’s Pharmacy has been serving the Madison area for over eighty years. We are an employee-owned business and take pride in being one of the only independent long term care pharmacies in the area. 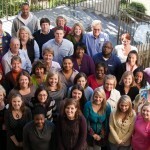 Southern Pharmacy Services is an independent pharmacy serving the Carolinas and Virginia. Customer service is our number one priority. We provide the equipment necessary to ensure this high level of service, such as fax machines, medication carts and treatment carts for the facility. We keep our customers happy every day – our contracts don’t trap our customers into doing business with us. This commitment means our team works hard every day to meet the needs of your facility. Our team of Geriatric pharmacists, nurse account managers, certified pharmacy technicians, customer service representatives, delivery drivers and experienced billing technicians provide immediate problem resolution. Our employees take pride in going above and beyond to meet our customers’ needs! At Southern Pharmacy Services, our values are the basis of how we do business. By understanding and embracing these values, we are able to focus on our customers and build strong relationships that last a lifetime. You can count on us to make sound decisions for your facility and your residents – today and tomorrow. Guardian Mid-South Pharmacy is located in Memphis. In partnership with our other Tennessee long-term care pharmacies – Middle Tennessee Pharmacy Services and East Tennessee Pharmacy Services – we seamlessly serve residents in group homes, assisted living and skilled nursing communities throughout the entire state as well as in northern Mississippi and eastern Arkansas. Our local team is committed to providing excellent, innovative and collaborative customer care. Located in St. Cloud, Guardian Pharmacy of Minnesota is the only pharmacy in central Minnesota 100% dedicated to serving long-term care facilities: nursing homes and assisted living communities, behavioral health and group homes, and correctional facilities. We have a staff of experienced long-term care pharmacy professionals who are compassionate about partnering with our customers to deliver healthcare excellence. Guardian Pharmacy of Indiana, located in Indianapolis, expertly serves nursing homes, assisted living communities, group homes, and behavioral health facilities throughout the state. Everything about our pharmacy — our experienced staff, our technology, our systems, our packaging, our reporting capabilities — reflects our 100% dedication to this market. We pride ourselves on being compassionate partners with our customers, assisting them in delivering healthcare excellence. Guardian Pharmacy of Birmingham is a full-service pharmacy based in Birmingham that serves the entire state of Alabama. Our team of more than 40 includes pharmacists, licensed pharmacy consultants, certified pharmacy technicians, a registered nurse, billing experts and account managers. With utmost care and attention, we serve a wide range of patients including residents at assisted living facilities, mental health residential and outpatient consumers and fertility patients who need specialized medications. Guardian Pharmacy of Jacksonville has been serving residents and caregivers in long-term care communities since 2005. Our team of pharmacists, certified pharmacy technicians, billing specialists, medical record specialists, nurse account managers, and licensed consultant pharmacists are unified in their pursuit of one goal: to provide exceptional support to the communities we partner with so that they can focus on providing the best possible care to the residents they serve. We work hand in hand with our partner communities to identify the dispensing system and ordering process that ensures medication availability, ease of use, and regulatory compliance. Guardian Pharmacy of Jacksonville currently serves customers throughout the First Coast area including Nassau, Baker, Duval, Clay, and St. Johns counties, to the west Leon, Suwannee, and Alachua, south to Putnam and Flagler, and all counties in between. With four additional locations across Florida, we provide statewide coverage to Florida’s long-term care communities. Guardian Pharmacy of South Georgia is a full-service pharmacy based in Statesboro that serves the entire Southeastern region of Georgia and Southern South Carolina. 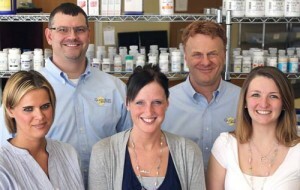 Our team includes pharmacists, certified pharmacy technicians, billing experts, account manager and a CPA. With utmost care and attention, we serve a wide range of patients including from residents at Skilled Nursing Facilities, Assisted Living Facilities, and Mental Health residential and outpatient consumers. Since 2008, Guardian Pharmacy of Tampa has been serving residents and caregivers in long-term care communities. With more than 75 years combined long-term care experience, the Guardian Pharmacy of Tampa management team is passionate about the industry and driven to provide exceptional support to our customers so that they can focus on providing the best possible care to the residents they serve. Additionally, our pharmacists, certified pharmacy technicians, billing specialists, medical record specialists, nurse account managers, and licensed consultant pharmacists have proven expertise and are dedicated to providing outstanding levels of care. Located in St. Petersburg, Guardian Pharmacy of Tampa currently serves customers in Citrus and Sumter counties to the north, Polk, Hardee, and Highlands counties to the east, Lee and Collier counties to the south, and all counties in between. With four additional locations across Florida, we provide statewide coverage to Florida’s long-term care communities. From our location in Georgetown, Winyah Pharmacy Solutions continues our 40-year family tradition of providing excellence in pharmacy services. Our professional, courteous, committed team serves long-term care communities all across South Carolina south of the Piedmont region. Guardian Pharmacy of the Piedmont, located in Charlotte, proudly serves assisted living and skilled nursing communities throughout much of central and western North Carolina and the Upstate of South Carolina. Our courteous, caring, committed team offers a full range of pharmacy services specifically tailored for the needs of long-term care communities. Founded in July of 2007, Guardian Pharmacy of Daytona serves residents in assisted living, skilled nursing, and other long-term care communities, providing exceptional customized service to meet the needs of our partner communities and their residents. Our team includes pharmacists, certified pharmacy technicians, billing specialists, medical record specialists, nurse account managers, and licensed consultant pharmacists. All have proven expertise and all are dedicated to providing exceptional levels of care. Our management team has more than 30 years combined experience in long-term care. Guardian Pharmacy of Daytona currently serves customers from Volusia south to Brevard, west to Seminole, Lake and Marion counties and north to Flagler, St. Johns, Putnam, Alachua and Gilbert. With four additional locations across Florida, we provide statewide coverage to Florida’s long-term care communities. Guardian Pharmacy of Maine provides a full range of medical products and services to patients residing in nursing homes, assisted living communities and rehabilitation facilities. Since 2004, Guardian Pharmacy of Southeast Florida has been serving residents and caregivers in long-term care and assisted living communities. With more than 90 years combined long-term care and assisted living experience, the Guardian Pharmacy of Southeast Florida management team is passionate about the industry and driven to provide exceptional levels of support to the communities we support, resulting in the best possible care for residents. All of our services, including medical records, billing and customer service, are performed at our pharmacy. Our team includes pharmacists, certified pharmacy technicians, billing specialists, medical record specialists, nurse account managers, and licensed consultant pharmacists. All have proven expertise and all are dedicated to providing outstanding levels of care. Located in Deerfield Beach, Guardian Pharmacy of Southeast Florida currently serves customers in Palm Beach, Martin and Indian River counties to the north, Broward and Dade counties to the south, Lee and Collier counties to the west, and all counties in between. With four additional locations across Florida, we provide statewide coverage to Florida’s long-term care communities. Middle Tennessee Pharmacy Services is located in Shelbyville. In partnership with our other Tennessee long-term care pharmacies – East Tennessee Pharmacy Services and Guardian Mid-South Pharmacy – we seamlessly serve residents in group homes, assisted living and skilled nursing communities throughout the entire state. Our local team provides enhanced pharmacy care by listening carefully and developing innovative and collaborative solutions to meet our customers’ needs. Guardian Pharmacy of Northwest Florida has been focused on one mission since its inception in 2011: to provide superior customer service and patient care to our families, residents and community partners. Our management team is passionate about the industry and those we serve and we are driven to accomplish this mission. Additionally, our pharmacists, certified pharmacy technicians, billing specialists, medical record specialists, account managers, and licensed consultant pharmacists have proven expertise and are dedicated to providing outstanding levels of care. Guardian Pharmacy of Northwest Florida is strategically located along the Florida panhandle, enabling us to serve the I-10 corridor from Tallahassee to Pensacola, as well as Destin and Panama City. Due to our proximity to Alabama, we are also able to serve lower Alabama, including Dothan, Ozark, Enterprise, Opp, Andalusia and all of Baldwin County. In addition to the northwest Florida / southeast Alabama footprint, Guardian’s four additional locations across Florida enable us to proved statewide coverage to Florida’s long-term care communities. Guardian Pharmacy Atlanta is a full-service institutional pharmacy with a team including pharmacists, licensed pharmacy consultants, certified pharmacy technicians, a registered nurse, billing experts, and account managers. We serve the state of Georgia from our facility in metro Atlanta, helping with utmost care and attention an extensive range of patients, from residents at assisted living facilities to mental health residential and outpatient consumers. We partner with our facility customers to help them deliver the highest possible level of care to their residents.